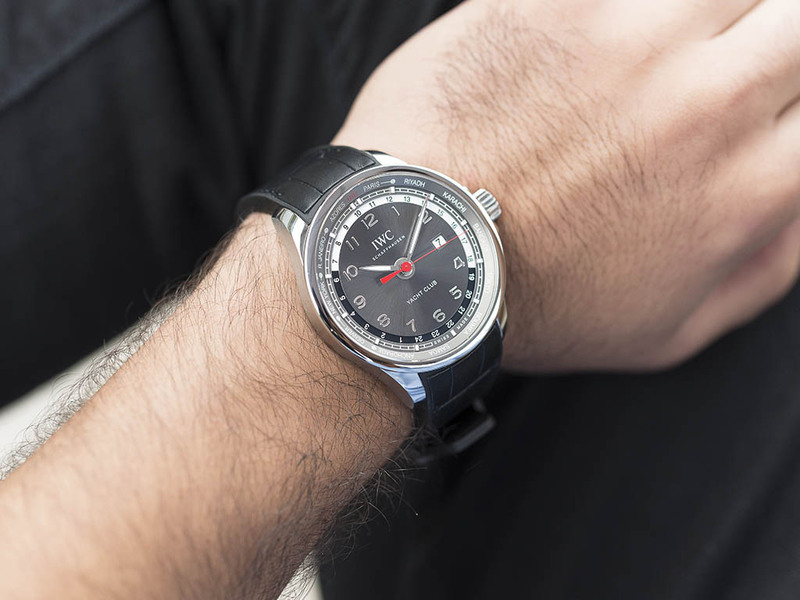 Portugieser is undoubtedly one of the most iconic series out of IWC's product range.Named after two Portoguese businessman ordered the company to manufacture custom watches in early 1930s, the series kept it's popularity successfully. 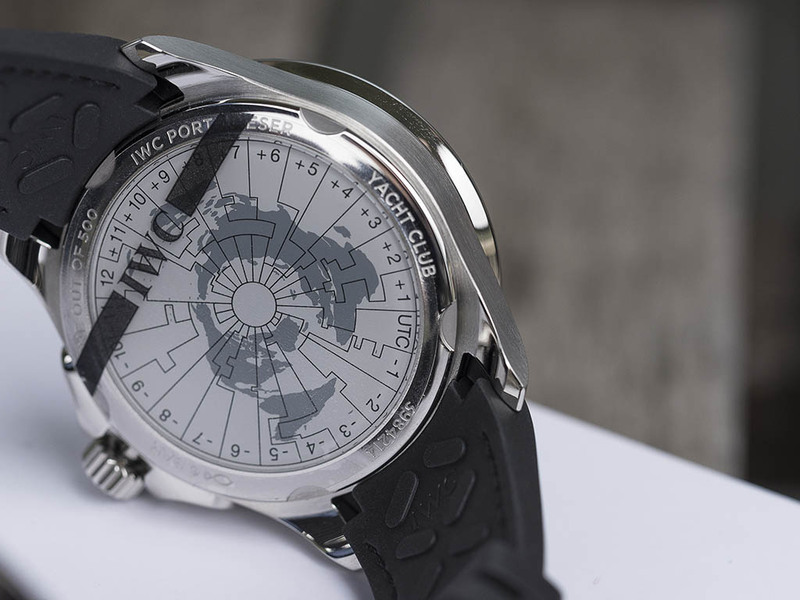 Yacht Club is a series to the current Portugieser range.Started at early 1960s, the Yacht Club range recently revealed it's latest member; Worldtimer. 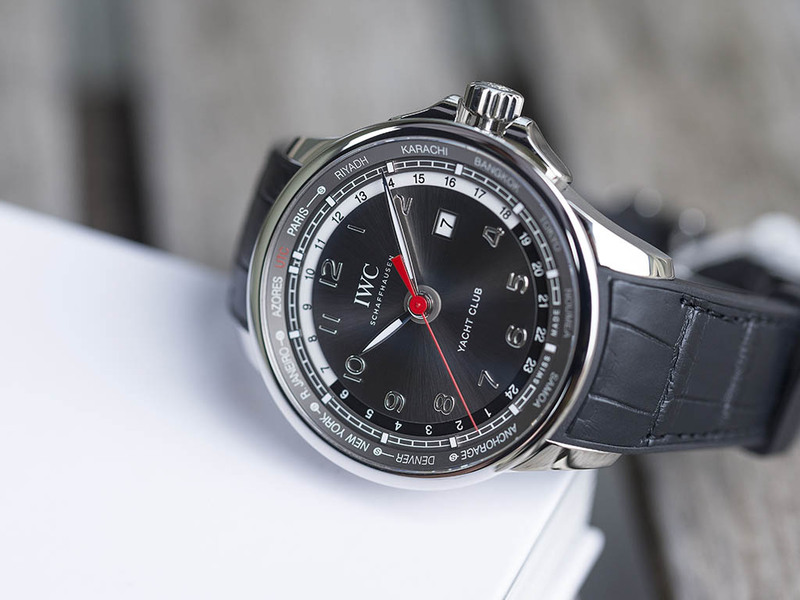 As the model's name speak for itself, IWC aimed frequent traveling users which are also interested in Yachting Theme. The watch comes with two case options. Stainless steel version is limited to 500pcs. And 18K rose gold version is limited to 100pcs. Only. The case diameter is 45.4mm making the watch to be listed as oversize. Thickness is 14mm. Besides it's large dimensions the watch wears comfortably on the wrist. However, I would still prefer a tad smaller. 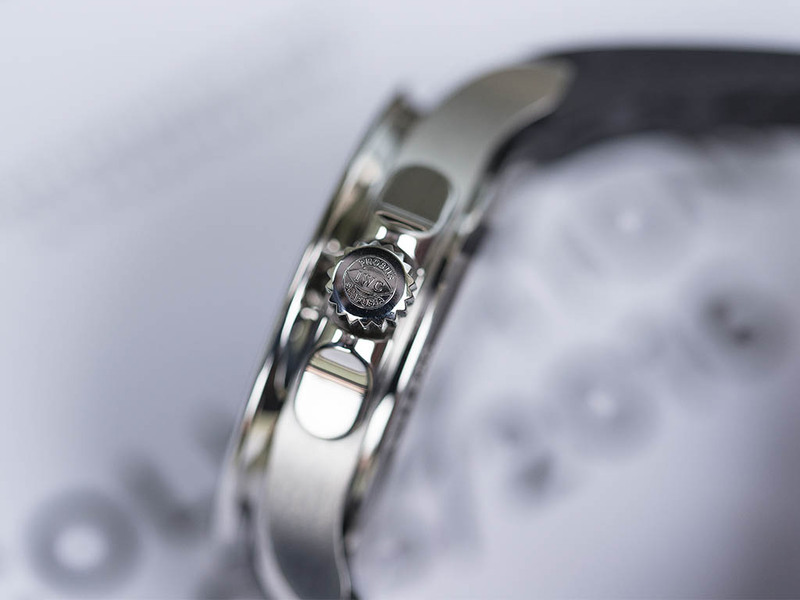 The sapphire crystal is AR coated and the edges are slightly rounded to match with the case's smooth lines. AR coating works like a charms making the crystal disappear at most angles however, the coating is quite prone to scratches. 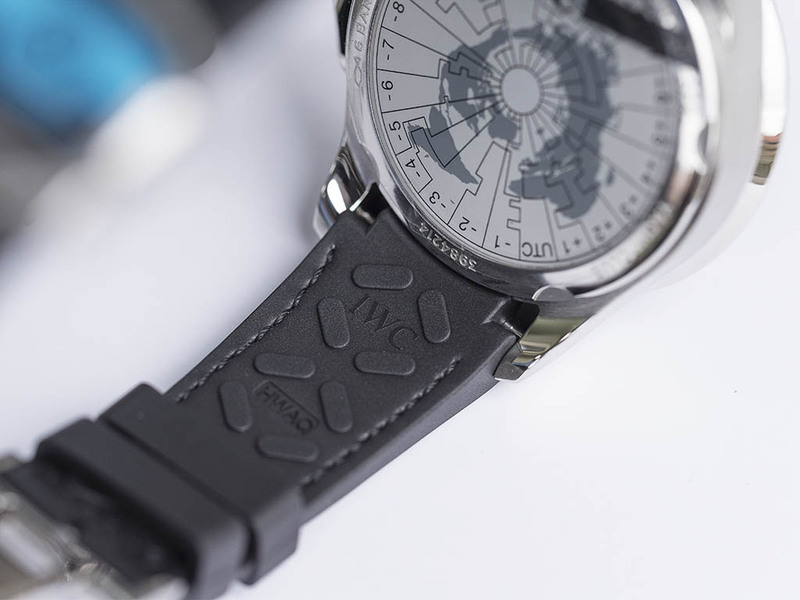 The case back features a beautiful engraving of world map divided via meridians. The watch has WR60M rating. 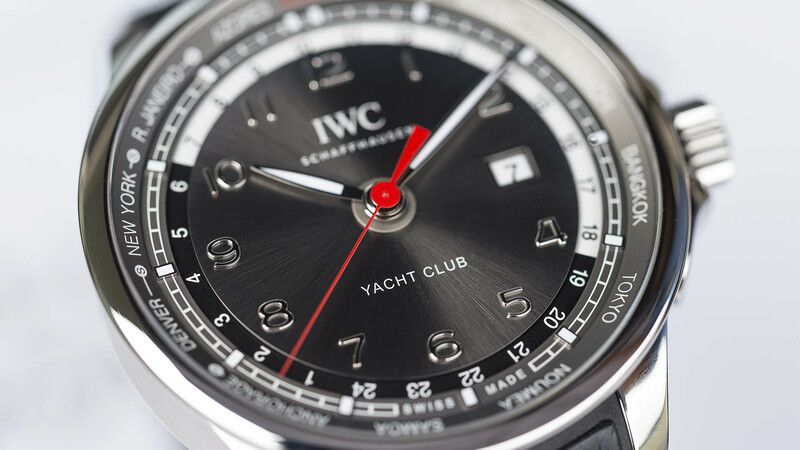 Yacht Clup Worldtimer is powered by IWC's automatic caliber Ref. 35370. 35 jewelled movement offers 42h power reserve on fully wound position. Of course the most important function is Worldtimer. The hour hand moves in one hour intervals allowing the timezone to be read thru the Worldtimer bezel located around the dial. The visibility of the dial is flawless thanks to it's bigger size and successfully designed lay out. While the watch looks quite beautiful overall, in my opinion the most of the credit should be reserved by the strap. The center side of the strap is rubber. The sides are covered with crocodile leather. Beside the stunning looks, this combo also boosts up the durability of the strap as well. Apparently, IWC did another great job with the Yacht Clup Worldtimer. However, the massive sized case could be a deal breaker. 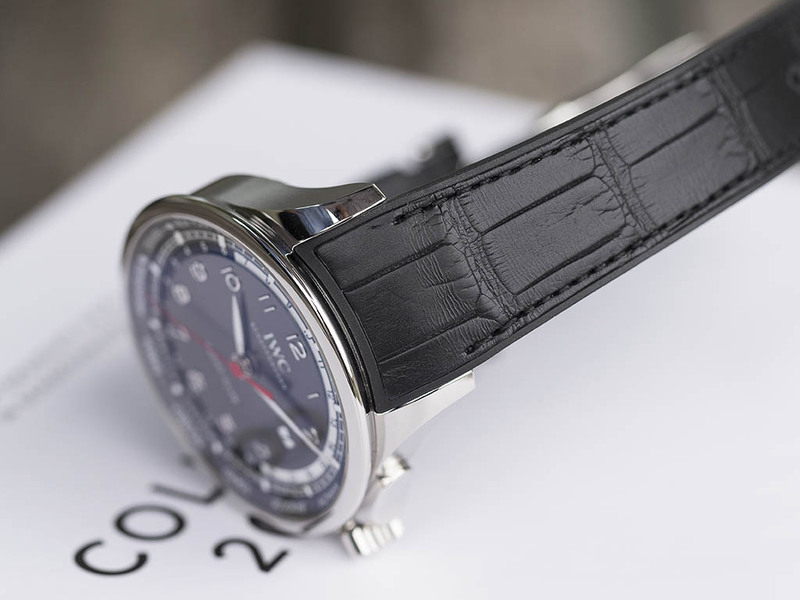 We suggest the brand's Pilot Worldtimer model should also be considered while shopping.